A new series of experiential music and arts event will soon take over Eco Park Convention, Ancol in Jakarta this May, as Love & Other Things and The Livescape Group have collaborate together to produce the first ever DGTL LVE! Set to take place on 4 May 2016, DGTL LVE will be The Live Scape Group’s first foray into the Indonesian events market. “We are really excited to introduce this latest experiential event in collaboration with The Livescape Group. DGTL LVE is about gathering like-minded people who enjoy experiencing new things, different twists to arts, the best of digital music with great company”, said Yudha Budhisurya, Co-Founder of Love & Other Things. 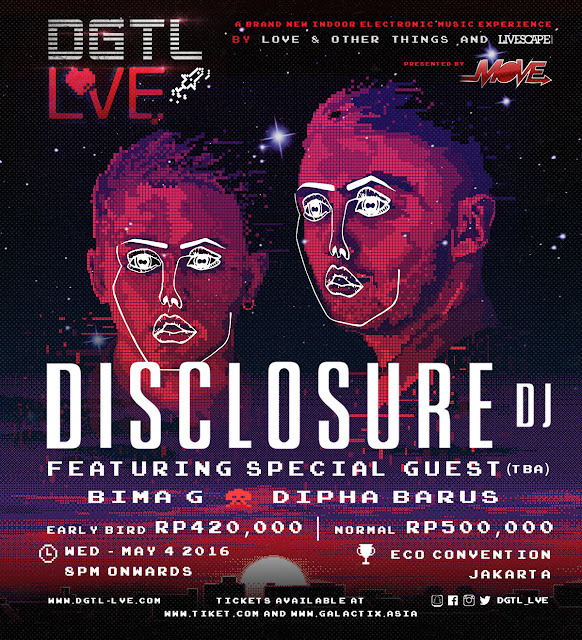 Headlined by Grammy-nominated electronic duo Disclosure who will be performing alongside huge local acts like Bima G and Dipha Barus, the new festival is expected to attract over 5,000 people. “We can’t wait to put on our first ever Livescape show in Jakarta and we are very excited to bring you an unforgettable show because we heard that people in Jakarta really know how to turn it up when music is involved. 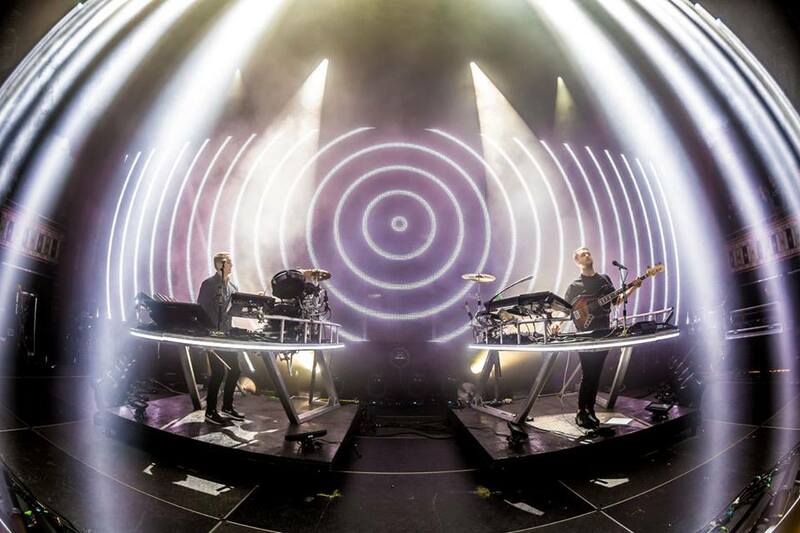 We are thrilled to have Disclosure headlining the debut of this new music platform and fans can come to expect a world-class show with world-class production”, Rahul Kukreja, Director of Live Events of The Livescape Group said in a statement. Limited early bird tickets to the show are priced at IDR420,000 while the general tickets are priced at IDR500,000, and can be purchased via galactix.asia and tiket.com. For more information and updates on DGTL LVE in Jakarta, Indonesia, logon to dgtl-lve.com.